This guest post is part of a series published in conjunction with the meeting of the American Studies Association in Toronto. UC Press authors share insight into their research and stories that reflect this year’s conference theme, “The (Re)production of Misery and the Ways of Resistance.” We hope these personal glimpses into their scholarship will inspire a broad community of readers. Come back for new posts every day between now and October 11th. In late August 2015, as teachers and students throughout the United States prepared to open another academic year, parents and education activists in the Chicago neighborhood of Bronzeville led a 34-day hunger strike to protest the closing of Dyett High School. The closure was part of Mayor Rahm Emanuel’s ongoing initiative—now impacting a total of over fifty schools—to shutter supposedly underperforming schools, strip Local School Councils of decision-making power, and enact privatization schemes. While the Chicago School Board agreed on September 3 to reopen Dyett, the Coalition to Revitalize Dyett (CRD) rejected the proposal because the unelected school board failed to hear Bronzeville’s collective vision for the new and improved Dyett Global Leadership and Green Technology High School. The continuing battle over Dyett is not only about the rights of citizens to basic publicly-funded education, but also over curriculum and the kinds of futures for which schools prepare students. The strikers are adamant that it is not enough simply to have a public high school. That school must also offer students a curriculum that prepares them not for lives of toil, poverty, and incarceration—miserable lives—but for productive, engaged, and prosperous futures. The strikers offer the most visible signs of the resistance to the misery imposed by school officials. 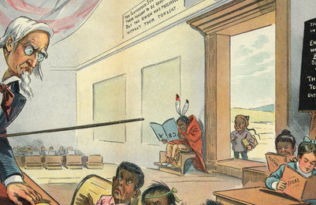 In the age of mass public education, contests over disparate school experiences along lines of race are far from new. 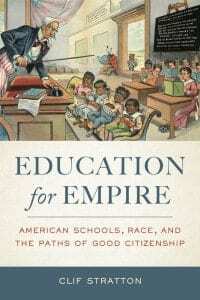 In my forthcoming book, Education for Empire: American Schools, Race, and the Paths of Good Citizenship, I explore how administrators and educators created and implemented an array of curriculum and policy decisions that disproportionately subordinated non-white and immigrant children, thus curtailing their prospects for full citizenship. Those decisions were intimately connected to the U.S.’s burgeoning imperial politics at the turn of the twentieth century. In territorial Hawai‘i, regimes of “manual training” promoted generational cycles of menial employment in the sugar and pineapple industries for Native Hawaiian and Asian students. In Atlanta, black students and teachers faced deplorable learning conditions, including overcrowding, double-sessions, and gross underfunding relative to their local tax contributions—this in a city that experienced astounding growth as the epicenter of the New South economy. And in Southwestern states, school authorities embraced the new science of IQ testing to impose segregation on Mexican American students at the precise moment that their labor and that of their parents became critical to industrial irrigation and agricultural projects. But as in Bronzeville today, parents and students resisted efforts to colonize their futures. In Hawai‘i inmates at the industrial reform school frequently dragged their feet in the cane fields, showed open disrespect for school authorities, and escaped. In Atlanta, parents mobilized votes to defeat school bonds that offered them nothing but continued underfunding. In Puerto Rico, where local elites frequently benefitted from partnership with U.S. imperial authorities, rural parents and children forced the colonial state to address the basic needs of the people it claimed to uplift from miserable conditions of poverty. A century ago, schools across the country also touted a curriculum that promoted American global and technological leadership. And like today, the hierarchies of race and nationality and the economic imperatives of empire were paramount in dictating which citizens reaped the benefits of that preparation. Clif Stratton is Clinical Assistant Professor of History and Assistant Director of the Roots of Contemporary Issues program at Washington State University, as well as 2014 recipient of the American Historical Association’s Eugene Asher Distinguished Teaching Award. 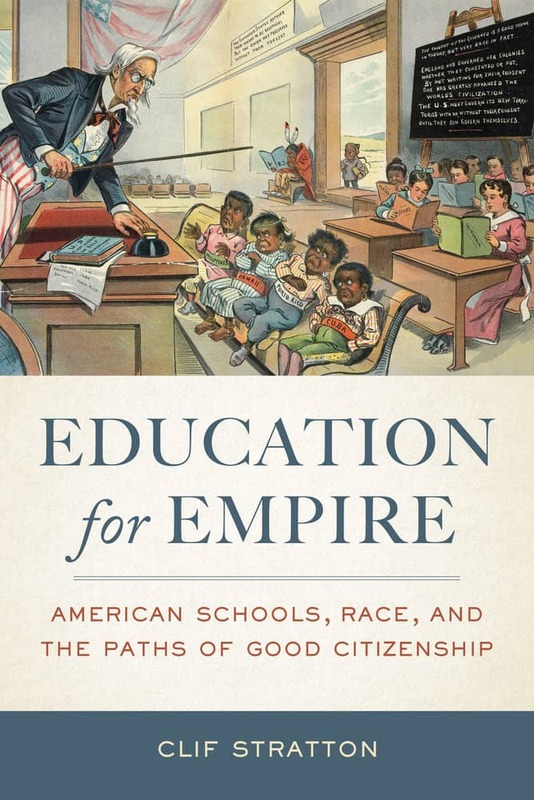 UC Press will publish Education for Empire: American Schools, Race, and the Paths of Good Citizenship in January, 2016. Please use hashtag #2015ASA when sharing on Twitter or Facebook.